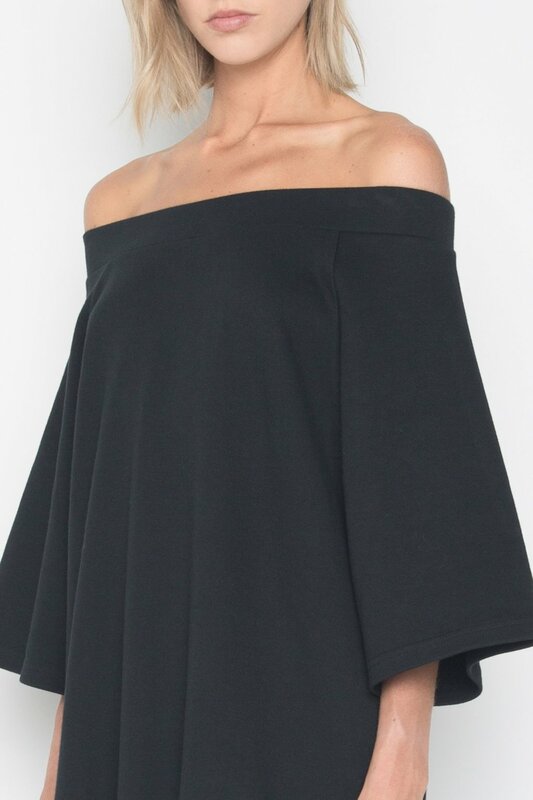 Crafted from 100% cotton, this dress features a bold off-shoulder neckline with a straight silhouette and a peplum hem for a feminine touch. 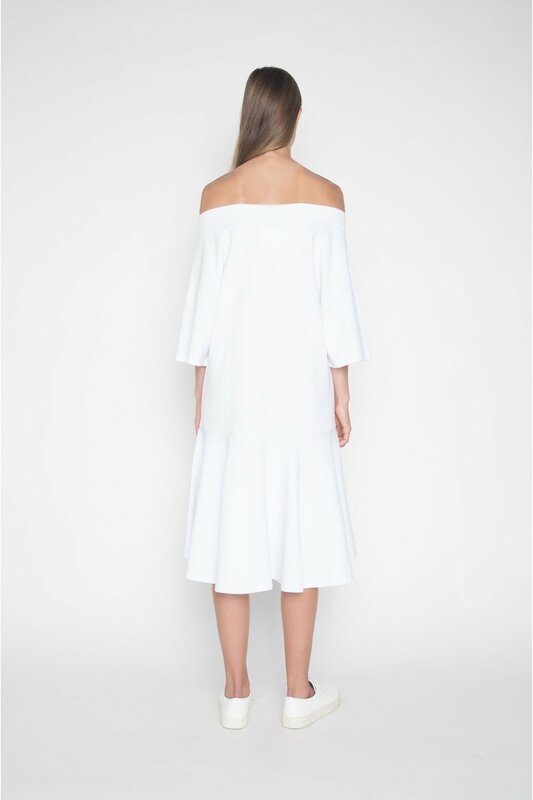 Minimal yet unique in design, this piece is definitely a stand-out piece this summer season. Pair with sneakers for a cute and casual everyday look.